Automotive proving grounds have all manner of delightful car torture tests that regular, non-industry folks salivate over. Rough roads! Steep inclines! Skidpads! Alpine courses! 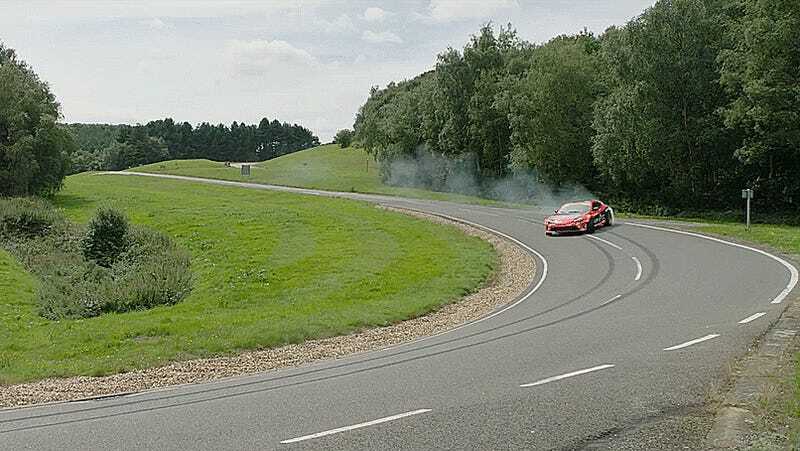 Pro drifter Fredric Aasbø finally did what we’ve all wanted to do at the UK’s Millbrook Proving Ground: drifted the Alpine Driving Course. Proving grounds are just that: nice places closed to the public where automakers can test out their new wares. Aasbø was in the UK to draw a giant 86 logo in tire marks for a Toyota ad. Clearly, he couldn’t resist the urge to rip down the proving ground’s twisty road, which is meant to emulate an alpine road. The 2015 Formula Drift world champion doesn’t just have any old Toyota 86, however. His 86-X (note the X) is swapped with the legendary 2JZ engine, which is boosted up to 1,000 brake horsepower.